When we moved into the place we’re living now, we had to have just shy of $2,500 on hand. That included first month’s rent, last month’s rent and a security deposit. That’s an insane amount of money when you’re making just above minimum wage—which we were. 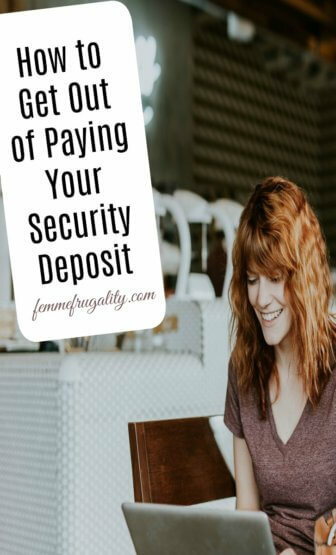 We’re fortunate that our income has gone up since then, but even still, security deposits are one of the big expenses that have made staying put rather than moving a better financial choice for us over the past few years. Even if we get our full security deposit back, rent inflation has gotten a little crazy lately, which means the deposit refund wouldn’t cover the security deposit at our hypothetical new place. What if you could eliminate that security deposit? 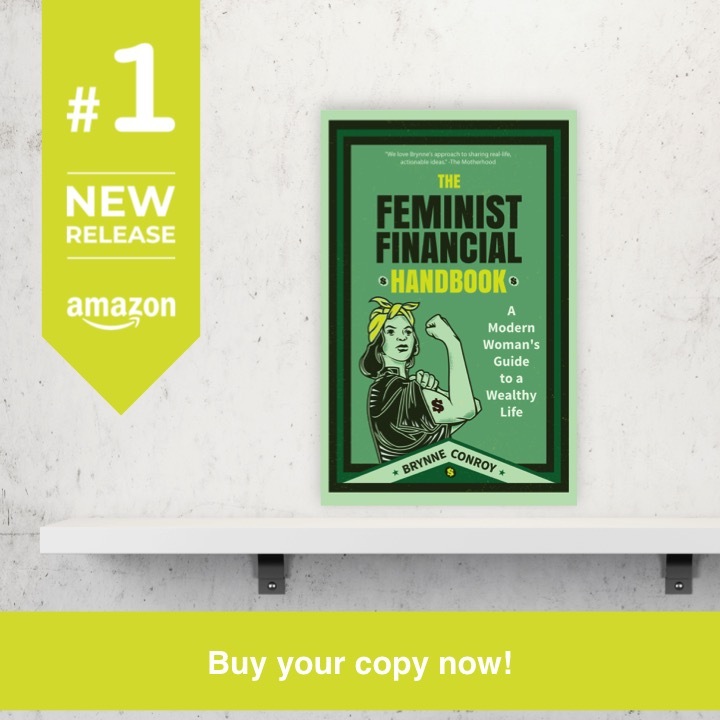 It seems like a dream, but in an era of progressive financial products, it’s not. Jetty, an insurance company that serves city-dwellers like us, has this really cool product called Passport Deposit. Essentially, you’re buying a surety bond through Jetty. You purchase this bond for 17.5% of the cost of your security deposit. Then, you don’t have to pay your security deposit up front. Your landlord is the recipient, and carries no risk. Jetty is literally insuring that you won’t trash the place. If you do, you’ll have to pay for damages. So don’t mess your place up. If we were to move right now, we’d likely be looking at a place with a minimum monthly rent of $1,100. That means our security deposit would also likely be $1,100. We could save for that for sure. But to be honest, it’s preferable for me to not have to pay that much upfront. With Jetty, we’d only have to pay $192.50. We wouldn’t get that money back, but we could take the other $907.50 and invest it. Assuming a 6% annual return, we’d have made that $192.50 back and then some by 2020. Within 11 years, we would have more than doubled our initial investment. That’s way better than throwing it all at a security deposit that will lie dormant for the duration of your rental period. If you don’t have the $1,100 upfront, to invest or give to the landlord, Jetty’s Passport Deposit can be a lifeline. While I don’t advocate for living outside your means, the reality is that the rental market is wreaking havoc on American families. We frequently like to think about housing from a buyer/seller perspective, but since the bubble burst in 2008, renters have been paying a steep price. If you can afford the rent, are a responsible tenant and just don’t have the extra money for the security deposit, this product can help you get into your place with a lot less stress. The last time we moved, we were lucky that our landlord didn’t set income requirements. Like I said, we were making just above minimum wage. We’ve never missed a month, by the way. Even in hard economic times. A lot of other landlords did, though, and it disqualified us from moving to those locations. We aren’t talking about luxe high rises with amazing city vista views, either. We’re talking about basic, affordable housing. Let’s take our $1,100 per month place as an example again. With kids in Pittsburgh, one of the most stable housing markets in the country, we’re talking about some pretty basic housing. It likely won’t be in a blighted neighborhood, but it’s not going to be in a super ritzy part of the city, either. To make 3x-4x monthly rent, you’d have to be pulling in $3,300 to $4,400 per month. Fifty percent of families in this country make under $68,000 per year. While people at the top of the $0-$68,000 income range would have no issue meeting those standards, those in the middle of the pack would. And do. That’s why Jetty also has Passport Lease. If you don’t meet income requirements, you typically will need a cosigner. The standards for that cosigner are typically higher, requiring that they make 8x-10x your monthly rent. With Passport Lease, you don’t need a cosigner. You can move in without meeting the income requirement for a one-time fee of 5%-10% of your annual rent on a 12-month lease. On the $1,100 place, that would be $660-$1320. While it’s not ideal to have to pay an extra fee, it is worth it if Passport Lease can get you and your family into a safe and healthy home. Only move into a place if you know you’ll be able to pay the rent on time each and every month. Cover yourself with renters insurance—which is insanely affordable and covers you in times of disaster, theft or liability. Take care of the place while you live there. If you do all of these things and the barrier to entry is still just too high, look to Jetty’s Passport. It’s an innovative new product that can help you get your foot in the door. This post is brought to you by Jetty Insurance, who has recently expanded into the Pittsburgh region. A Non-Traditional Student Budget: You Can Do This! This entry was posted in Money Management, Ways to Save Money on June 19, 2017 by femmefrugality. Cool. We’ve got two places we need to find renters for, so it’s good to know these might be possibilities if anyone brings them up. Definitely! It’s also a good way to get the otherwise qualified renter in the door. You can pay rent without rolling in it, and have a good credit score demonstrating your responsibility combined with past references. If the security deposit or income rule are the only barriers, I’d say this is worth suggesting to potential tenants! I’ve got income rentals too, and I have to say this seems like a good solution for everyone involved. As long as the renter meets other requirements, I can’t see why this would be a problem for most owners. I haven’t found the need yet for this type of solution, but I will keep it in mind for the future. Good to know! So glad it was helpful, Karl! And definitely a good thing to keep in mind. I’ve never seen anyone else do this before–was super excited when I learned about it. Jetty sounds like a good option for great savings on the deposit, especially if you know you will take care of the place. It’s something I will definitely look into more as we get closer to being ready for renters at our property. Thanks for sharing! Interesting, I had no idea there were services like this available to renters. I own a home now but I always remember what a struggle it was to come up with a security deposit and first months rent right off the bat. I know, right? It can add up to a crazy amount of money very quickly. Spread this like wildfire. This would’ve changed my life when I was renting, and it probably would’ve helped me save a down payment for a house a lot faster. Or just move to a place where landlords can’t charge security deposits, like where we live. You in Canada? Don’t think I haven’t been tempted especially as of late. Thanks, this is good to know! I rented a house last fall for the first time in many years. The security deposit added a good chunk of money I had to pay in addition to moving expenses. Blah, it’s so frustrating! Hopefully this can help you on your next move! I’ve never heard of Jetty, but it sounds good. I plan on moving later this year, so if this can help me save money, I’ll check into it. Definitely should! They’re primarily in urban areas, and expanding quickly from what I glean. This is a genius business idea for Jetty, but so helpful for renters, too. I know, right? This takes a lot of stress off of us as we prep for our next move. While it would be ideal to buy, we might have one more rental in us before we’re ready. Just curious. In my experience, years ago, I never expected to get my whole security deposit back. No matter how good a shape and how clean I left the place, they ALWAYS found a reason to keep a good portion of it. What happens when that happens with this program? Do they get dinged, or do you get a bill? I have heard of that happening, but I think I’ve been fortunate with landlords. The only time I haven’t gotten my full security deposit back was when there was literally damage due to an emergency situation. Everyone was insured, so it got fixed I wish the landlords had filed against my liability insurance for their deductible instead of taking the security deposit, but I understood why at least. If this does happen, you are responsible for the damages, still. With a third-party involved that has a better ability to protect itself than an individual renter, I’d imagine those petty claims against security deposits go down. But that’s conjecture. This sounds like a great idea for renters who are responsible, but don’t have all that extra cash lying around or don’t meet the income requirements. With today’s real estate markets, that’s probably true of more and more people. I’m glad to hear there’s a solution! “With today’s real estate markets, that’s probably true of more and more people.” EXACTLY, Gary. Super smart of them to see a need in the market and address it! Sometimes when I moved from one complex to another, but with the same landlord, they took only the twice the difference in deposits, with most of the old deposit being transferred to the new place. My tip for getting the deposit back — 1) clearly separate out the REFUNDABLE from the NON-REFUNDABLE parts & what are the conditions needed to get back the refundable part. 1) I wrote down, in carbon or copied, exact descriptions of anything unusual (marks, damages, rug blemishes, etc) in the whole place (usually within 7-10 days) & gave the copy of the 2-3 pages to the landlord & kept the original with my rental agreements/receipts. When I was deciding to leave, I made another copy & went over with them at the 30 day mark, all the “already damaged when moved in” stuff. so that we both agreed what was newly damaged if any, & what needed to be cleaned top to bottom before the final check-out. This was in the days before camera phones, so now I would just add pictures… Most times, they had lost their copy of the original damage report, so that is why I gave them an extra copy at the end. Preparedness on my part gained points over their parts & saved a lot of disagreements. Moved several times as a single mom with young children & always got back 100% of the refundable!! I remember having to have so much money to move in. Then you also need money ahead for Energy companies, etc. IT was a lot and could deter so many people from finding a better place. This sounds like a great solution! I’m so with you on this, Vickie! So expensive—glad that someone’s coming up with a way to cut costs!